Wallsend Vet – Newcastle, your devoted companions. The individual needs of the client and their companion are always at the heart of our experienced team. For more than 40 years, our hospital has been dedicated to providing veterinary care to the community of Newcastle. Dr John Hayes opened the practice in 1977, providing companion animals of the Newcastle and Lake Macquarie region with a high standard of treatment. Originally Dr Hayes’ family home, the property was extended and converted into the veterinary hospital you see today. On the 5th of October 2012, Dr Hayes passed the privilege of ownership to Dr David Larratt. David has been working in the Lake Macquarie area since graduating from Sydney University in 1989. Wallsend Vet Hospital has benefited from his skills for the past 11 years, where he has functioned as senior surgeon and introduced a range of skills that were not previously available. Advanced dental treatment including root canal therapy is now offered to repair (rather than extract) teeth when possible. David’s main surgical interest is in advanced orthopaedic procedures. He is also fully qualified as a veterinary acupuncturist and has skills in natural therapies to offer a wide range of treatment options. All owners and animals have their own specific needs that should be respected, so a personal approach is taken every time. 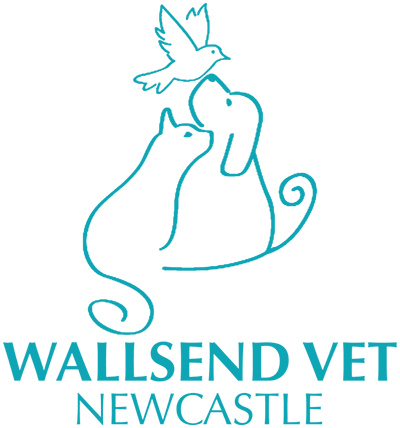 The Wallsend Vet staff are devoted to working with both existing clients and new clients to provide high standards of veterinary care for our animal companions. David has loved his work as a Veterinarian for over 24 years. After graduating from the University of Sydney, his first job as a Vet was at Belmont Veterinary Hospital on the Eastern side of Lake Macquarie, working with small animals and horses. In these early days, he developed a strong interest in physiotherapy, orthopaedic surgery and acupuncture. After a few years of experience, David spent two years travelling and working. His first stop was Zimbabwe, where he volunteered as an assistant to university vet student education, sharing his surgical knowledge and also gaining experience with the local veterinary requirements of tribal livestock farmers. In the UK, he continued to work in mixed small animal and farm animal practices where he spent many nights calving cows and lambing ewes. The most interesting part of this trip was the year spent in Downpatrick, Northern Ireland, which at the time was a social and cultural challenge. On his return to Australia in 1994, he resumed his position at Belmont Vet Hospital with new skills and experience in orthopaedic surgery, reproductive medicine and homoeopathy. In 2006, he took up the position of Senior Veterinarian at Wallsend Vet Newcastle, and in 2012 he purchased the practice. David has expanded the diagnostic capabilities of this practice by introducing ultrasonography, in-house blood testing and advanced veterinary dentistry. His qualification as a Veterinary Acupuncturist also attracts many clients. After his house was badly damaged by a tree fall in the Pasha Bulka storm, David assisted in its passive solar redesign and rebuild. He shares his home with life and business partner Maria, as well as two sons, two cats (Astrid, Burmese and Ava, Tonkinese) and two dogs (Vasco, Kelpie x and Susie, Australian Cattle dog X). He has recently added a third dog to the family, Star the Greyhound. They met at Wallsend Vet Newcastle, when Star was in need of urgent orthopaedic surgery to correct her broken leg. She was also in search of a permanent home, so David offered her a key role in his family. Angela wanted to be an ‘aminal doctor’ when she was five years old, and more than 25 years after graduating from Sydney University, she still loves the challenges of veterinary science. Angela has worked all around the Hunter area, from Singleton to Swansea, plus the obligatory stint locuming in England. Several years at the old RSPCA at Elermore Vale helped define her attitude to practice: championing the needs and welfare of each pet, yet recognising that owners sometimes need to be pragmatic when more complicated health issues arise. Her current livestock include a 14-year-old Belgian Shepherd, six backsliding chickens (eggs? what eggs?) and an ever diminishing number of goldfish (fish are not Angela's forte!). Two girls complete the head count and can be seen around the clinic some afternoons after dancing. Angela enjoys surgery and is making a niche in soft tissue procedures at Wallsend (the face-lift queen for spaniels and Shar-Peis). Jacqueline joined the team at Wallsend Vet Newcastle in 2015 because of her special interest and skill in small animal medicine. As a child, Jacqueline was always motivated to work with animals. In her family home was an array of pets, from dogs to rats and rabbits to birds. Her latest addition to join the family is Roxy, the three-legged Kelpie X whom she rescued through her work. Jacqueline completed her degree in veterinary medicine at Murdoch University in Perth. There she enjoyed a sea change to her home of Sydney and gained exposure to the industry as a veterinary nurse during her studies. Now in Newcastle, Jacqueline enjoys the beach culture and appreciates travel in her spare time. Kieran initially graduated from the University of Sydney with a Bachelor of Marine Science, Honours Class I, and worked in the aquarium industry as an aquarist for a couple of years. A while later she made the decision to change career paths in order to be able to help animals and their owners within the veterinary profession. Kieran completed her Bachelor of Veterinary Science from the University of Sydney in 2016 with a strong passion to work with all creatures great and small, however, her biggest interest lies in treating cats and dogs. She has always enjoyed being by the ocean whether it be on her morning runs, snorkelling or scuba diving. She also has a passion for travelling and one-day wishes to travel the world. Anna has kicked off 2018 by moving from the Northern Beaches of Sydney to immerse herself in the team work of helping pets at our growing veterinary hospital. Anna’s passion to become a Veterinarian began when she was given a second-hand dog breed book at just six-years-old. She studied everything about all the breeds and begged her parents for a dog, until the family finally brought a Welsh Terrier home when she was 10. But there has always been some kind of animal in Anna’s life, which started with fish, axolotls, rabbits, then dogs and cats. Throughout her teen years, she volunteered at vet clinics during the school holidays until taking on a Bachelor of Veterinary Science at the University of Sydney, while also picking up experience as a Veterinary Nurse on the weekends at the Small Animal Specialist Hospital (SASH). Anna has three rescued fur babies – a four-year-old Domestic Short Hair cat named Lucy (who looks like a Russian Blue), an 11-year-old King Charles Cavalier (with the possibility of some Cocker Spaniel mixed in) named Chanel, and another Domestic Short Hair called Big Louie, who is three. Her favourite areas of work are animal behaviour, feline medicine and soft tissue surgery. Trudy joined our growing team in September 2016. She brings not only a wealth of Veterinary Nursing knowledge, but also much experience in Practice Management. Her career began when she graduated with a Certificate IV in Veterinary Nursing and was immediately recruited at Greenhills Veterinary Hospital. For many years here, her skills continued to grow and earned her the position of Practice Manager from 2001 – 2016. A highlight for Trudy has been developing her skills in dog behaviour, which led to the opportunity to host puppy preschool and dog training classes. When Trudy is not at work, she loves to spend time with her daughter and husband outdoors. Also joining her pack are four pet Dingos – Kitty, Candy, Fella and Ringo, her palomino Stock Horses – Tara and Old Boy, and her Quarter Horse Dun Appaloosa – Montana. We can’t forget Trudy’s birds – Cocky the 10-year-old talking Major Mitchell Cockatoo and the menagerie of Wyandotte and Australorp chooks. Her otherpassions include gardening, swimming, baking, and, of course, horse riding. Lianne has been a Veterinary Nurse at Wallsend Vet Newcastle for 15 years, making her one of our longest serving employees. As a senior nurse, she has a great deal of experience and professional dedication. Chances are Lianne will greet you as you enter Wallsend Vet Newcastle, as she is our Head Receptionist. For Lianne, being part of the team that treats and cares for an animal recovering in our hospital and seeing it return to its family is the most rewarding part of a day’s work. Lianne’s home is a haven for many interesting pets, including Izzy and Ivy the vociferous staffies, Bubbles the Eastern long-necked turtle, Jewels the diamond python, and Audrey the cat, rescued from theRSPCA animal shelter. Brittany has been nursing for four years, starting her studies when she was 18 years old in her home town of Tamworth. Here she had the opportunity to work in a busy mixed practice clinic for three years before re-locating for a sea change in Newcastle. She has always had a passion for animals and was determined to become a Vet Nurse from a young age. Brittany enjoys working with clients and ensuring their pets are cared for in the same way she would expect her pets to be looked after. The most rewarding part of the job, for her, is nursing unwell patients back to their happy normal selves, and being along for that entire ride until they go home. Brittany has one dog, Bentley the Pomeranian X Chihuahua, and will definitely look forward to adding to her fur family as time goes on. Kellie originally started her work experience at Wallsend Vet Newcastle and was employed after completing one year. Five years later, she continues to be a valued member of the team. She loves all aspects of her job and finds non-routine surgeries the most interesting. Each day brings new challenges which add to her growing knowledge. Jodie takes pride in being an absolute animal lover. She is our puppy preschool teacher and loves sharing healthcare advice with the community. Jodie completed her Certificate IV in Veterinary Nursing at Kurri Kurri TAFE. She enjoys all aspects of the job, especially assisting in surgeries and providing quality patient care to all animals that walk through our door. Jodie started her career as a journalist. While working for a local newspaper in Tamworth, she would always put her hand up for the animal stories which gave her much satisfaction, especially when advocating initiatives of the veterinary industry and promoting the good work of local rescue organisations. This passion grew, and Jodie realised it was her time to make a difference. She still uses her skill with the pen and is responsible for coordinating Wallsend Vet Newcastle's social media and marketing content. Jodie has a ginger cat named Tommytito, who has his own Instagram page. Her canine pals are Dotty the Greyhound, whom she rescued through Friends of the Hound, and Louie, the Border Collie. From a young age, Hayley dreamed she would find her passion somewhere within the field of animal care. After completing high school, she stayed committed to her ambitions and enrolled in Certificate II In Animal Studies at TAFE before continuing on to complete her Certificate IV in Veterinary Nursing the following year, graduating in 2015. Hayley joined our team shortly after graduating and is very excited to finally be working in her ideal career path. Her main interests are pathology, diagnostic imaging and ensuring that all of our patients are happy and comfortable. Having a huge respect for any kind of animal, Hayley has always had pets of her own. Hayley’s first pets were two rats named Simmo and Uber. Now Hayley has developed a big passion in caring for reptiles and amphibians. She keeps two adolescent diamond pythons, Polly and Silhou, and a Tasmanian Botched Blue Tongue Lizard named Danzi. In her spare time Hayley enjoys arts and crafts and keeping healthy and active. She aspires to one day be a wild snake rescuer and re-locator. Janette is a passionate volunteer for many community initiatives, especially when animals are involved. She joined the team at Wallsend Vet Newcastle as an experienced Veterinary Nurse in September 2015. Janette completed Certificate IV in Veterinary Nursing in 2003 whilst working at Greenhills Veterinary Hospital. Later in 2006, she moved to Belmont Veterinary Hospital and late in 2014, Sugarloaf Animal Hospital. During this time Janette enjoyed the many new challenges of veterinary nursing and reception and especially enjoyed her role as surgical nurse assisting with many surgeries including orthopaedic repairs. Janette lives locally and is mum to three now-adult children. At home, she has three rescued pet greyhounds, Riley, Bluey and Pixie, Rusty the Kelpie and 2 cats, Sqeakie and Lynxie, not to mention the many foster greyhounds that pass through her home. She has a special interest in the welfare of ex-racing industry greyhounds and is a volunteer for the rescue and rehoming group, Friends of the Hound. Janette and her husband Greg also volunteer several times a year with Variety the Children's Charity, running a communications base. Another group close to Janette's heart is AMRRIC (Animal Management in Remote and Rural Indigenous Communities). AMRRIC runs ‘Dog Mob’ which relies on donations and volunteers to help with the health and desexing programs in these remote areas. Janette's goal is to get the opportunity to volunteer as a vet nurse in one such program. Laurie has always had a huge love for animals, even from a young age. This interest is what has lead her into the field of Veterinary Nursing. She has gained over 21 years of nursing experience and even after all this time, she continues to have a passion for helping animals have the best life they possibly can. One of her favourite parts of Veterinary Nursing is listening to our clients talk about their pets and the many stories they have about them. Shortly after completing her Certificate IV in Veterinary Nursing at Kurri TAFE, she began working at Greenhills Veterinary Hospital where she stayed for about 20 years. After gaining valuable knowledge in all aspects of veterinary nursing she continued on her journey to work at Wallsend Veterinary Hospital. A few years ago she was offered the opportunity to become a TAFE teacher for the Certificate II in Animal Studies course and graciously accepted the offer. This has allowed her to pass on valuable knowledge in the field of Veterinary Nursing. She also occasionally teaches other Veterinary Nursing units whenever required. She has thoroughly enjoyed her experience teaching, coaching and mentoring young students who share the same passion for animals as she does. In her spare time she assists with her husbands home electrical business, likes to spend time with her family and enjoys working out in their home gym to keep fit and healthy. Her pets at home include Gracie the German Shepherd, Lloyd (pictured) the Cairn Terrier, Ljubo the Shih Tzu, Princess Aurora and Rosie the two cats and Magpie and Daisy the two guinea pigs. Allira joined Wallsend Vet Newcastle as a work experience student while completing Certificate IV in Veterinary Nursing. Not long after, she was offered casual employment because of her enthusiasm for learning and dedication to nursing. Assisting in surgery and speaking with our clients are Allira's favourite parts of working in the animal industry. She also takes joy in caring for the pets that come through our door to ensure they are always comfortable and happy. Outside of work, Allira is passionate about Surf Life Saving and is a fundamental member of the Bar Beach Surf Club. She has had the opportunity to compete all over the world, combining her passion for fitness and travel. Allira is originally from Forster, but has embraced Newcastle as her new home. Pictured with Allira is Winnie, the Domestic Medium Hair cat, who was re-homed with her best friend after she was found abandoned and in need of hand-raising with the Wallsend Vet Newcastle veterinary nurses. Bronte was first hired at Wallsend Vet as a Trainee Veterinary Nurse and has since blossomed into a fully qualified Certificate IV Veterinary Nurse. You may have had the pleasure of meeting Bronte at our front desk as she checks in your pet on arrival. In 2014 she began studying veterinary nursing to fullfill her life-long dream of caring for and supporting animals in need. Once she started studying she realised she had found herself exactly where she wanted to be and has never considered another career. She is a dedicated and hard worker who is happy to have found herself working such a rewarding job. Bronte’s favourite aspects of the industry include caring for the many animals that come through our doors, having the opportunity to learn new things every day and assisting in many interesting surgeries. Outside of her love for veterinary nursing, she enjoys embracing her creativity and has future hopes of opening her own market stall to sell her hand-made art. Bronte has one cat, Zali, a grey and white tabby domestic short hair, but definitely aspired to add to her little family! Kate initially began her studies by achieving her certificate III in Animal Studies before continuing on to complete her Certificate IV in Veterinary Nursing at Kurri Kurri TAFE in 2016. During her time studying she completed her work experience at Wallsend Vet Newcastle, before being fortunate enough to secure a spot amongst the team once she graduated. Her main interests include anaesthetic monitoring and reception duties as she gets to meet and interact with owners as they talk about their beloved pets, which is something that Kate values dearly and loves to be a part of. She is currently juggling a few jobs to help fund her desire to travel and volunteer around the world to help with animal rescue, welfare and rehabilitation. Her animal family currently includes Randy and Rafael the guinea pigs, although she will always treat any animal she meets as if they were her very own. She one day wishes to extend her studies to become an Animal Welfare Officer as the treatment of animals and their welfare is something that Kate finds interesting and so very important. The desire to help defenceless animals helps her strive towards this goal. When Mackenzie was a kid, he was addicted to watching TV shows like Bondi Vet and RSPCA Animal Rescue, and was glued to Animal Planet. It was only natural that his career would lead him to the animal industry. Mackenzie is our latest recruit having impressed us during his work placement stint since February 2018. So far, his favourite aspects of nursing include, but definitely aren’t limited to, monitoring anaesthetics, patient health care (in particular learning about prophylactic treatment), and being able to learn something new every day. Pets of all walks of life have been part of his household always. His much-loved pets include a 7-year-old English Staffy named Evie, a 14-year-old Miniature Poodle X named Millie, and three amusing Cockatiels - Caz, Buster and Porky. Lucy was hired as a Trainee Veterinary Nurse half way through her studies. She was over the moon to be offered a position on our team and values every moment she gets to spend learning from our team of professionals. From a young age Lucy was highly interested in animal care but was pre-occupied with her dance classes, her mum says that all she wanted to be when she grew up was ‘a singing and dancing vet’! When she reached her late teens she decided that her chosen career would need to be both academic and rewarding, which meant that veterinary nursing was the right choice. Lucy’s favourite aspects of the job would have to be non-routine surgery assisting such as orthopaedics, which she is lucky to see a lot of in our practice. She also finds diagnostic imagery such as ultrasounds and X-rays highly interesting and is learning more about these procedures each and everyday. In the future, Lucy would like to excel in these areas by doing further studies in specific surgical nursing and emergency care. The treatment, welfare, and rights of animals is also an aspect that is very close to her heart, making the job of nursing patients back to health a highlight in her daily tasks. Her pet family consists of Finn the Bearded Collie who is 15 years old, Molly the 5 year old Cavalier King Charles Poodle, and Hermione the Miniature Dachshund who is only 2 years old. She has had pets her whole life and could not imagine living without them, which led her to adopt our clinic mascot, Zazzy the domestic short hair cat, when she changed to the apartment lifestyle and could no longer live with her dogs. In her spare time when she isn't studying or working at the clinic, Lucy enjoys reading books of all kinds and lounging on the beach.